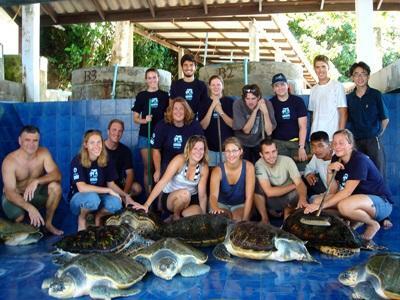 A popular choice with volunteers, Thailand is a vibrant and exhilarating destination. Our group trips in Thailand are open to anyone with a passion for volunteering together in the developing world; including those at school, in a community group, at university or working together. 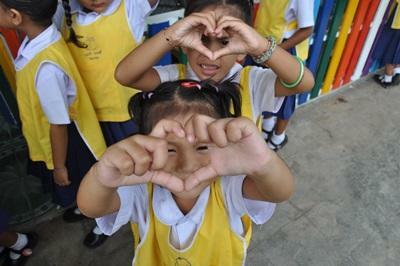 A great variety of projects are available to groups volunteering in Thailand. Groups can get involved in Care/Teaching, Community, Conservation, and Medicine & Healthcare Projects; all of which have their own individual charms. With its pristine beaches, exotic food and golden temples, coupled with some of the most welcoming people, it’s easy to see when Thailand is the favourite Asian destination for UK tourists. Anyone doing overseas voluntary work in Thailand will have the chance to get beneath the country that tourists see, and discover the incredibly friendly people and unique culture that define this beautiful place. Another reason behind why Thailand is such a popular destination is the fact that it has never been colonised or ruled over by the West. This means that the Thai culture and deeply felt Buddhism are influential throughout the country, even amid the urban bustle and with the onslaught of tourism. Modern Thailand juxtaposes the influence of the West with its many ancient beliefs, and is a fascinating place to experience while you are volunteering abroad. 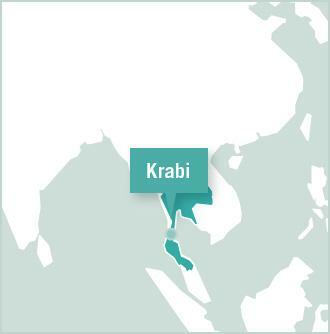 The majority of our volunteers are based near Krabi in Ao Nang, a 1 hour flight south of Bangkok on the Andaman Sea coast. This area is famous for its dramatic limestone cliffs (karsts) that jut out from the sea and beaches like prehistoric high-rise buildings. 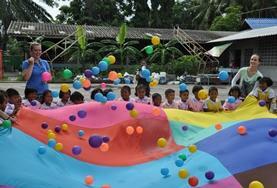 Most of our Care and Teaching projects are located in and around Krabi town and Ao Nang. 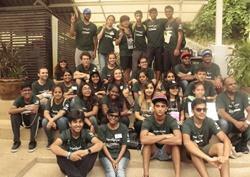 Any groups volunteering on these projects will stay in a local hotel so that work and free time can be organised easily. For groups volunteering on our Conservation project, they will be based at our shared volunteer resort just inland from Ao Nang. In whichever location you volunteer, other volunteers and staff will be close by, which creates a great volunteer spirit, as well as a feeling of belonging to the local community. The friendliness of the Thai people is world renowned. Many will want to practice speaking English with you, whether on the bus, at the market or on your walk home from work. Groups will get free time to spend as they please in the evenings and at the weekends. Evenings will usually consist of relaxing or exploring the local area while the weekends can be used to integrate trips of your choice to other parts of the country. Boats regularly leave from Krabi to Koh Phi Phi Island, famous location of the film, The Beach. Aside from the many beautiful beaches on which to relax, party or take part in some water sports, there are also plenty of local activities including hiking and rock climbing. 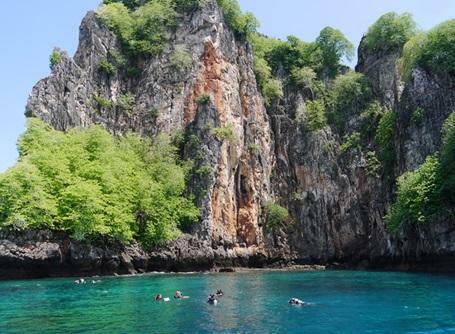 Plus, as the Conservation volunteers in Thailand quickly discover, the seas around Krabi are superb for snorkelling and diving. Many of our groups decide to venture further afield after the volunteer placement and really explore this amazing country by themselves. Travelling within the country is simple and cheap. 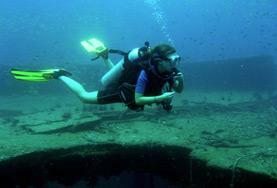 Popular trips include trekking in the northern jungles of Chiang Mai or relaxing and diving on the paradise islands of Koh Samui, Ko Pha Ngan or Ko Tao. Groups can also choose to travel even further and venture out around South-East Asia via cheap buses and trains. Recently launched low-cost airlines are tempting people to explore even more widely. Remember that however much of Thailand and South-East Asia you see, it's unlikely to be enough!